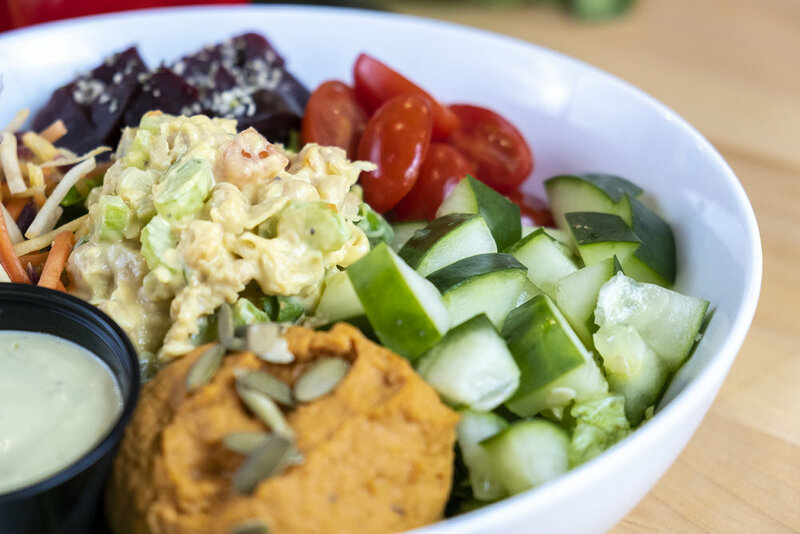 Rich and flavorful chickpea salad and a smooth, sophisticated sun-dried tomato hummus. Loaded with refreshing cucumbers, crunchy carrots, juicy beets and snappy pepitas and hemp seeds. Topped with a zesty lemon dill ranch dressing. Best enjoyed chilled.